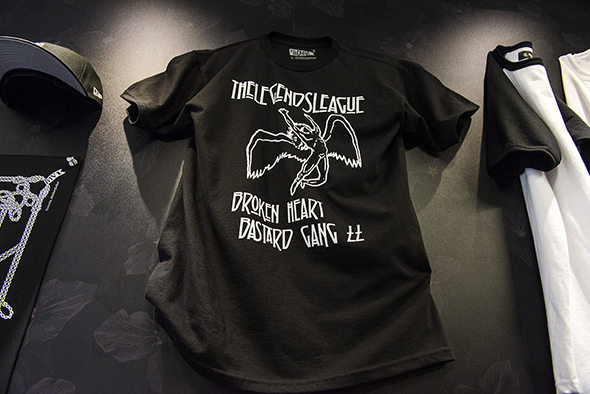 The Legends League is a Toronto-based streetwear brand made by artist Bryan Espiritu. 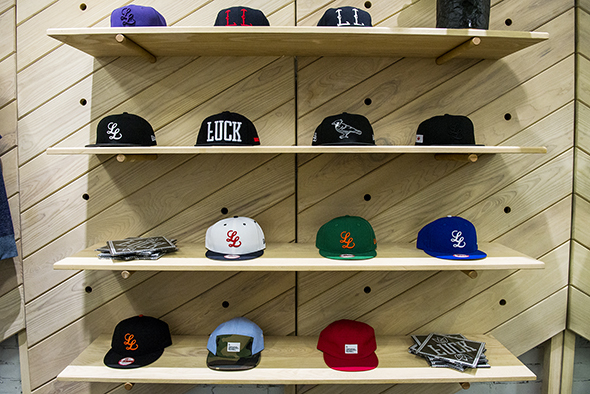 After years of grassroots support for the legends' movement, the flagship store represents a pivotal milestone for Bryan and the LL team. In 2008, Espiritu launched the "Inspiration Driven Esthetic Apparel by The Legends League" (IDEALL) clothing line. Since then, the artist has expanded his premium collection to include original LL sweatshirts, pants, outerwear, headwear and accessories. 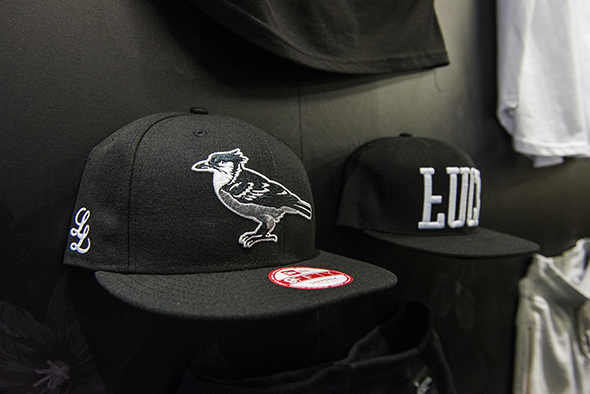 The LL woven label is proudly stitched across BHBG clothing items - "Born in Toronto." 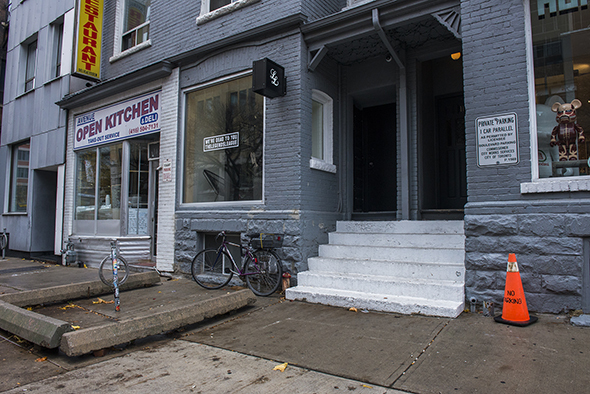 Following six months of demolition, design and construction, the The Legends League replaced the former ruins of a hoarder. Modular shelving units add versatility to a modern layout that's regularly moving to feature exclusive new collections, events and art showcases. Drawn to the belly of the clothing gallery, I set my eyes on the New Era 9Fifty LL snapbacks available in Major League versions of White Sox, Dodgers, Black Orioles and Yankees. An adjustable camp cap is available in camouflage for a reduced price of $25. 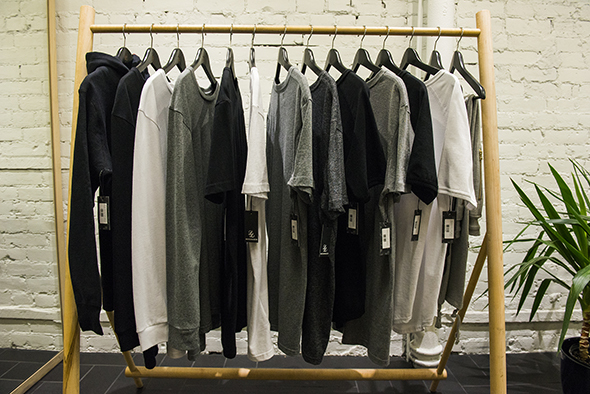 Canadian-made quality feels built to last with premium cotton and fitted style. Silk screen graphics are hand-pressed on t-shirts with flashy colours. 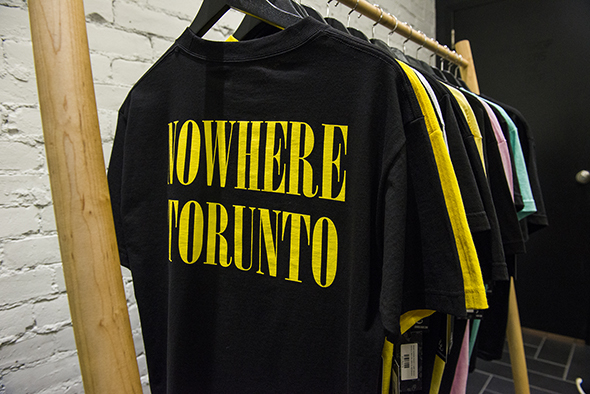 I drift through a rolling rack of $40 tees, featuring Nowhere Toronto, the LL classic series and a Led Zeppelin Swan Song jersey listing LL pop-up shops from 2009-2015. Geeking out comes with the territory. Sweatpants give young professionals a run for their money at The Legends League. With a drawstring ankle, tapered fit and pockets, it's a staple item that accommodates a functional and active lifestyle in any setting; sleep to the office. 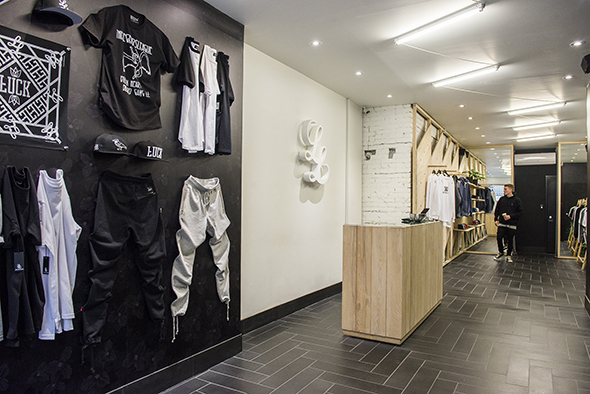 All hail the LL sweatpant, $130 and worth every dollar. Under a shiny glass display case by the entrance, customers can marvel at Fuckluck bandanas ($15) to classic LL Bic lighters in red, white and black. Fun fact: If you make an LL order, request an outrageous design and Bryan will personally tag the delivery box (if he's available to do so). It's one of the countless personal touches that could make The Legends League a city-wide landmark.